Our International trip this year was to BERLIN - the highlight being our visit to the Rotary Club of BERLIN Schloss Kopenick. 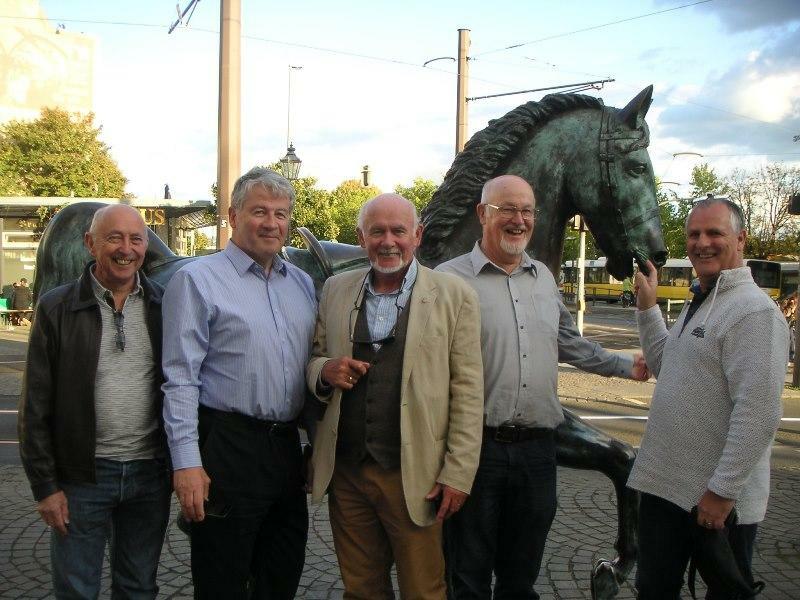 Six intrepid Rotarians travelled out to Berlin to meet some fellow Rotarians at the Berlin Schloss Kopenick Rotary Club. We were picked up from our hotel by two of our host Rotarians (President Rainer and Community Service Chairman Detlef) on Monday night & taken to the meeting at the Yacht Club, what a beautiful wood lined room! The German Rotarians were very welcoming and held a very informal meeting in English, I had to watch my P&Q’s as I was sitting opposite the Police Chief!! 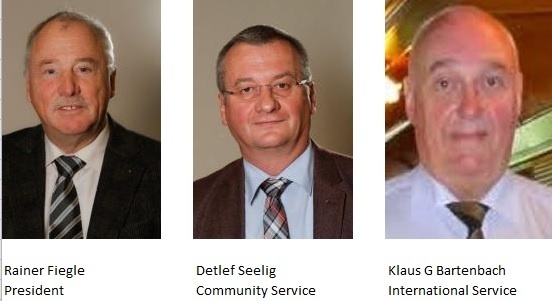 An interesting project that they were undertaking was with a Rotary Club in Kalingrad, in East Prussia, a Russian enclave bordering the Baltic. The club were finding it difficult, not with language as both clubs had Russian Speaking Members, but with finance. The Kalingrad Club was semi-illegal and could not open a bank account, so all transactions were in cash. This excluded any grant applications for the Project, a kindergarten. We had a lovely meal and some fellowship, then we were ferried back to our Hotel and a nightcap. 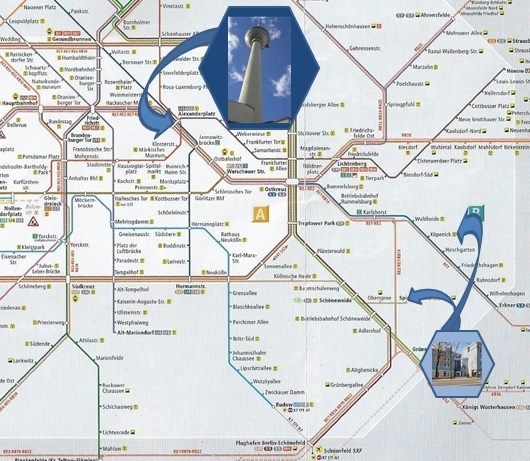 On Tuesday 29th September, We all piled on the Berlin S Bahn, an over ground rapid transit system, to Alexanderplatz. Our first Tour was after lunch, to go up the Television Tower and whizzed up in the speed lift. The views were fantastic from the top, you could see for miles and all the Berlin landmarks. After coming down ( I had to have a Bratwurst in the market), we got on a tour bus, saw lots of sights then hopped off at Checkpoint Charlie to have a look round (I took loads of selfies). Back to Kopenick , we took a different train &, although it was a longer walk back, we dropped off for our evening meal at a local restaurant. Our choices were surprising (menu in German) Pork Ribs and Chips- delicious, then a session in the bar of the hotel, to sum up our day of course. On Wednesday Morning 30th September, we were up a little later (one a lot later). Into town on the S Bahn, then my suggestion of an ice cream went down well for lunch. We had another tour on the bus different route, and I had to have a bratwurst on the way to a Munich type Beer Keller. I tried a Stein of Beer (a litre) but it was too much for me!!. For our evening meal we went to an Argentine Steakhouse with a fabulous view of the TV Tower all lit up. 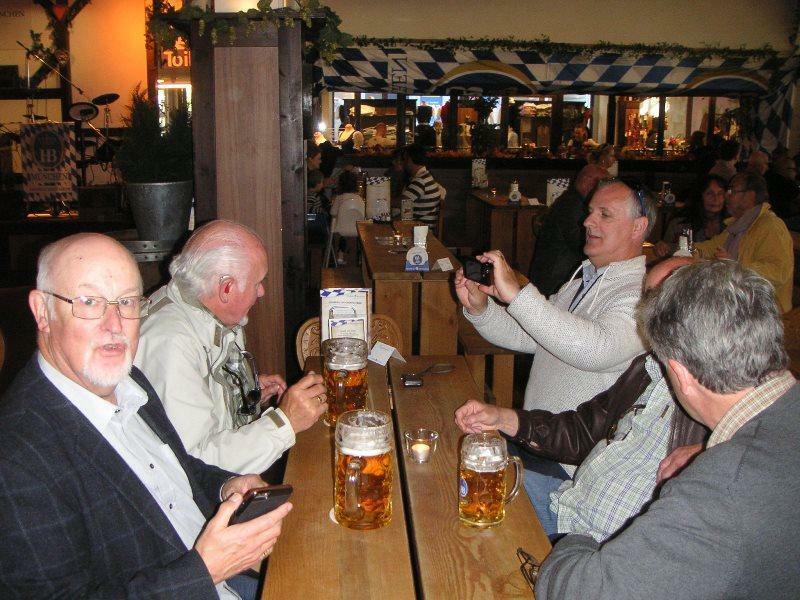 Then back to the Beer Keller for more Munich Beer and a bit of oompah! (music that is!). The place was really bouncing when we left to get the train! On Thursday 1st October, we all packed and travelled into town to put our cases in lockers, then to another restaurant for lunch. The ice creams this time were works of art. I had a Raphaello, Martin had an After Eight Minty, the others had Walnut (Dave, Bill and Graham) and Colin had Strawberry---Yummy! We walked all that off, going to the Brandenburg Gate, then Graham took us to the Jewish Holocaust Memorial, very impressive, then an upstairs open air restaurant for a drink( I couldn’t resist another bratwurst). Finally back to town for a boat trip on one of the many canals, very relaxing. For our evening meal we had hamburgers and potato skins in an American Diner before a train to the Airport and Home. In all, I think we crammed in as much as possible in the time available & had a great time of fellowship. I’m still getting over it! !